This article is about the combat of 1809. 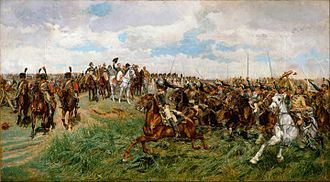 For the 1805 battle, see Battle of Schöngrabern. 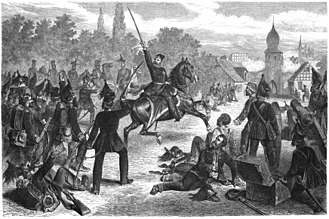 The Combat of Schöngrabern was a relatively minor rearguard action fought by Austrian V Korps and supporting elements of the Kaiserlich-königliche Hauptarmee under Prince Heinrich XV of Reuss-Plauen against elements of the French IV Corps of the Grande Armée d'Allemagne, under the command of Claude Legrand. The brief combat ended in favour of the French but Reuss did manage to delay the French sufficiently in order to prevent them from getting to the battle of Znaim on 10 July. Following Johann von Klenau's successful Austrian rearguard action at Hollabrunn the day before, Austrian Prince Reuss, commander of V Korps, to which several additional units were attached for a total of 27,000 men and 32 cannons, took position near Schöngrabern. Reuss's orders were to form a rearguard and delay the enemy before him, preventing them from arriving at Znaim, where the main Austrian force was massed and combat was set to begin. Opposite to Reuss lay the vanguard of the Marshal André Masséna's IV Corps, under the overall command of General Legrand. Legrand's command was 11,000 men and 24 cannons strong and included the 1st division of IV Corps and the Corps cavalry. Masséna's orders were to push on towards Haugsdorf and then head to Znaim where General Auguste de Marmont's XI Corps had made contact with the enemy's main force. Masséna sent his cavalry, as well as Legrand's and Claude Carra Saint-Cyr's infantry divisions towards Haugsdorf, while leaving Jean Boudet's division at Stockerau and Gabriel Jean Joseph Molitor's division in between. Executing his orders, Legrand moved forward but, towards 09:00, encountered staunch opposition towards Schöngrabern, a village in front of which Reuss had left a rearguard of 6,000. 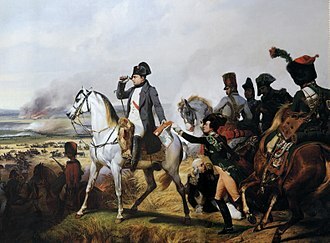 It took Legrand some time before he was able to take the position, with the Austrians leading a superb fighting retreat. 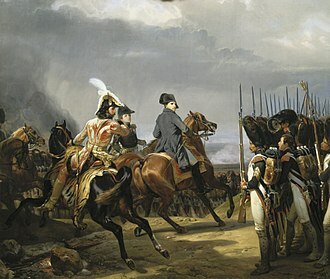 Losses following this battle are unknown but it is clear that Masséna's march to Znaim had been delayed, as towards 20:00, he had to stop at Jetzlsdorf, with the divisions of Legrand, Carra Saint-Cyr and his cavalry after these troops had been fighting and then marching all day. The delaying action at Schöngrabern meant that Masséna was only able to arrive to the battle of Znaim on 11 July. 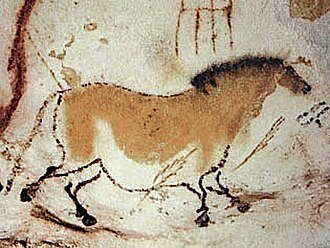 However, Reuss also had difficulties in containing Masséna and was himself only able to arrive at Znaim late on the evening of 10 July. Masséna and Reuss would face each other again on 11 July, at the battle of Znaim. ^ a b Pigeard 967. The battles, which occurred on 25 May,29 May,13 August, and 1 November 1809, were part of the Tyrolean Rebellion and the War of the Fifth Coalition. The Tyrolean forces, loyal to Austria, were led by Andreas Hofer, Josef Speckbacher, Peter Mayr, Capuchin Father Joachim Haspinger, the Bavarians were led by French Marshal François Joseph Lefebvre, and Bavarian Generals Bernhard Erasmus von Deroy and Karl Philipp von Wrede. After being driven from Innsbruck at the start of the revolt, after the final battle in November, the rebellion was suppressed. 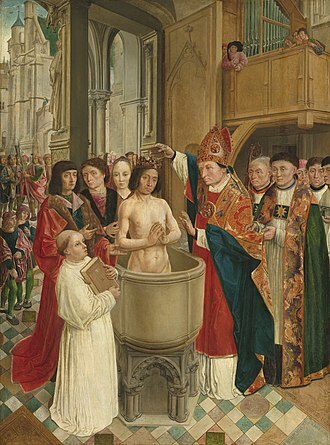 After his humiliating defeat of the Austrian Empire in the War of the Third Coalition, Napoleon transferred the County of Tyrol to Bavaria, when the new rulers imposed conscription and Bavarian legal codes on the territory, they flouted ancient Tyrolean social and religious rights. 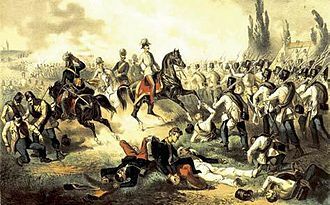 Before the outbreak of the War of the Fifth Coalition, Austrian agents circulated the Tyrol to take advantage of the existing tensions, when Archduke Charles, Duke of Teschen invaded Bavaria on 10 April 1809, the Tyrol exploded in revolt. The Tyrol 1809 Order of Battle lists the units and organizations of both armies. On 11 April Hofer and 5,000 armed peasants scored a victory at Sterzing in the South Tyrol when they captured 420 Bavarians of the 4th Light Infantry Battalion, under Teimer and other leaders, the Tyroleans irregulars won a brilliant initial success. Attacked incessantly for 48 hours, Lieutenant General Baron Kinkel surrendered his Innsbruck garrison of 3,860 Bavarian soldiers on 13 April, a body of 2,050 French conscripts under hard-drinking General of Division Baptiste Pierre Bisson unwittingly marched into the trap. After an ineffectual defense, the French put up the white flag, the rebels seized five cannon, two mortars, considerable equipment, and many muskets. The captured material would keep the rebellion supplied with weapons for months, one column of irregulars stiffened by a few regulars under General-Major Franz Fenner raided the area of Lake Garda in Italy. In consequence, Viceroy of Italy Eugène de Beauharnais was forced to provide substantial Franco-Italian garrisons to guard the area, in early May, Napoleon directed Marshal François Joseph Lefebvre and the VII Corps to move against the Tyrol. The Bavarian garrison of Kufstein Fortress was relieved on 11 May, Lefebvre routed Chasteler at the Battle of Wörgl on 13 May. 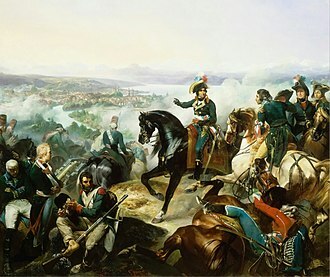 After several more actions, Lefebvre occupied Innsbruck around 19 May, on 25 May 1809, Lieutenant General Deroys 3rd Bavarian Division clashed with the Tyrolese rebels at the Bergisel. Deroy committed 4,000 troops and 12 artillery pieces to the combat, Hofer commanded the rebel army and his lieutenants were Speckbacher, Josef Eisenstecken, and Oberstleutnant Ertel. 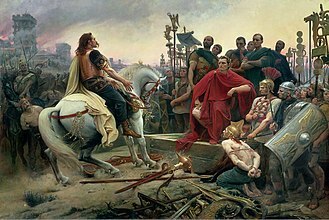 Hofers army included 9,400 armed rebels and 900 Austrian regulars, the Bavarians lost 20 to 70 dead and 100 to 150 wounded, while inflicting losses of 50 dead and 30 wounded on the Tyrolese. Though historian Digby Smith labels the action a Bavarian victory, his narrative says the battle was a draw and he notes that the rebels, discouraged that more local people had not joined the revolt, retreated to the south. The rebels returned on 29 May and subjected Deroy to an attack, which he resisted with 5,240 troops organized in 12 battalions, eight squadrons. Claude Juste Alexandre Louis Legrand was a French general. He commanded French divisions at several battles of the French Revolutionary. 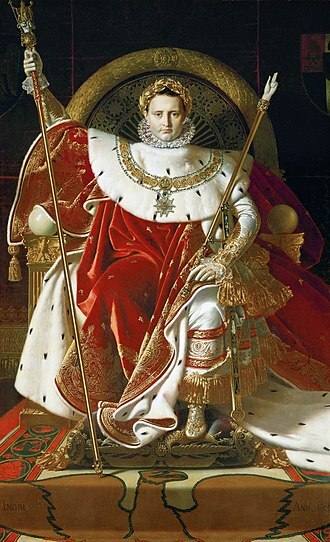 He rose to senator on 5 April 1813, Pair de France on 4 June 1814 and he organised the defence of Chalon-sur-Saône in 1814 and died in Paris in 1815 of wounds received beside the River Berezina. His military career started when he enlisted in 1777, during the French Revolution he rose rapidly in rank to lieutenant colonel. He received promotion to general of brigade in 1793 and fought at the Battle of Fleurus, as part of the Army of the Danube, he fought at the Battle of Ostrach and the Battle of Stockach. As a general of division he fought under Jean Victor Marie Moreau at the Battle of Hohenlinden, under Emperor Napoleon, he commanded a division in Marshal Nicolas Soults IV Corps in the 1805 campaign. At the Battle of Austerlitz, his division helped to fend off the massive Austro-Russian left wing long enough for Soults other two divisions to break through the Russian center, still in the corps of Soult, Legrand fought at the battles of Jena in 1806 and Eylau in 1807. Johann, Count von Klenau, 1801. Benatek Castle, in Bohemia, where Klenau was born. Klenau's charge at Handschuhsheim won the day. Klenau approached the town of Brescia at night, surprising the garrison, and taking as his prisoners three officials of the French Directory.